Azimut Yachts picked up their second consecutive award for ‘Best Brand Presence in Asia’ at the prestigious Asia Boating Awards 2018, held ahead of the Singapore Yacht Show 2018. 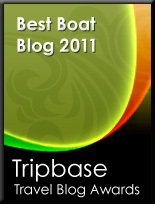 Created by Asia-Pacific Boating and China Boating magazines in 2005, the annual Asia Boating Awards are the most renowned yachting awards in Asia and across the world. The awards bring together the best in the industry and celebrate the success of the various brands, builders, marina and clubs, companies and individuals. The ‘Best Brand Presence in Asia’ award celebrates Azimut as a company that has done the most to build its brand in Asia through creative advertising and event sponsorship, developing growth and improving brand recognition in the region and beyond. On the win, CEO Marco Valle says, “We’re proud that Azimut Yachts has been recognised for our strong presence in the region. This is a testament to our excellent team and network that has worked hard to increase brand visibility and more importantly make sure that each customer feels valued and well taken care of. Asia is an extremely significant market for us, and we look forward to continued growth for many years to come.” Across collections, Azimut yachts are renowned for elegance, sleek design, harmonious lines, responsive handling and utmost comfort, combined with unexpected space. As a brand Azimut consistently sets the trend in the wide body segment, due to its revolutionary carbon fiber construction. The extensive use of carbon fiber, which Azimut has pioneered in all its collections, makes it possible to extend the space available without increasing the yacht’s weight, resulting in better performance in the water and unprecedented comfort onboard. This award comes on the back of multiple award wins for design and research and development for Azimut Yachts in 2018. Also this year Baglietto, historic shipyard based in La Spezia owned by the Gavio Group, participated in the Milan Relay Marathon held yesterday, Sunday 8 April for the city center, to support the Onlus Sport Senza Frontiere , Platinum Charity Partner of the event. Sport Senza Frontiere is a non-profit association that aims to give disadvantaged children the opportunity to practice a sport, because "bringing sport where there is no means hope and the possibility of a better life". Over 2875 participating teams, including the two Baglietto - Pachamama teams ,with Laura Barcellone, Michele Gavino, Alessandro Minari and Francesco Zurlo, and Lucky Me composed by Christian Bonaldi, Alessandro Diomedi, Nicolò Busseti and Claudio Bordigoni - who supported the charitable cause: "By confirming our participation - commented Michele Gavino Baglietto CEO - we have wanted to help give all children, especially those who live in difficult circumstances, a chance to play sports, a fundamental tool for education and development of social inclusion and well-being ". In accordance with the application of the Bavaria Yachtbau GmbH, the district court of Würzburg yesterday ordered provisional self-administration. Dr. Hubert Ampferl of the law firm Dr. Beck & Partner has been appointed interim administrator. The shipyard operations will continue seamlessly over the next few months. The delivery season is currently in full swing, so that it will be possible to process a large order backlog over the coming months. “In the current situation, we will continue to provide our customers with the customary high quality,” says Erik Appel, COO. The existing executive management is being expanded to include Dr. Tobias Brinkmann, a specialist insolvency lawyer and partner in the national law firm Brinkmann & Partner. He has extensive experience of reorganising shipyards. The previous CEO, Lutz Henkel, left the executive management last week. The top priority is now to search for an investor. “We have many years of experience building high-quality yachts and are industry leaders in technology in many areas,” says Appel. Against the background of the good market positioning, the company is seeking to address both strategic as well as financial investors. The procedure is intended to put operations on a sound financial footing. The first operational restructuring steps, such as the introduction of clear organisational structures in production, have already been implemented. These activities will be continued consistently. Bavaria Yachtbau GmbH was founded in 1978 and is among the market leaders in European yacht building. Payment of wages and salaries for the months of April to June 2018 will be secured by insolvency compensation. The some 600 employees have been informed in detail. 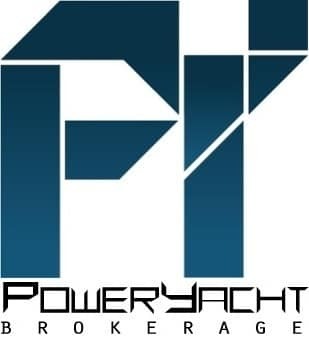 The petition for insolvency refers exclusively to the Bavaria Yachtbau GmbH. The French subsidiary Bavaria Catamarans SAS in Rochefort will continue to operate as normal. The people have spoken and Bertram is the champion of the inaugural BoatingMadness bracket challenge. This was one of the closest results of the entire tournament, with more than 1,000 votes cast. The Facebook vote was a dead heat as we left the office last night, but Bertram pulled away in the closing hours. One of the most recognizable brands among boaters, Bertram can now call itself America’s Favorite. As a 16-seed, Bertram ranked between 61 and 64 in overall Boat Trader listing detail page views, and was an underdog in each match-up throughout the tournament. No stranger to competition, Bertram took down all that stood in its way: Chaparral in the first round, Monterey in round two, Regal in the sweet sixteen, Scout in the elite eight, Hatteras in the Floating Four and finally Viking. Competition is where Bertram began, Richard Bertram was an accomplished racer in sailing long before building boats of his own. When an annual powerboat race existed between Miami and Nassau, Bertram’s entries dominated the competition. His first generation deep-v “Moppie” design finished hours before the runner-up in 1960. Feadship’s dedicated refit division continues to work hard after a successful winter of activity. The fabulous Faith has just left the Netherlands for warmer pastures and her place has been taken by the lovely Utopia, whose owners fully recognize the exceptional added value of having a Feadship refitted by the craftsmen and engineers who know her best. Created as a vision of how a superyacht might look if everything that Feadship had learned to date was assimilated into a single project, the 72-metre Utopia made global headlines at the time of her launch in 2004. Loved both by her owners and those who have enjoyed taking her out on charter adventures, Utopia has now returned for a third time to the Netherlands for a refit with Feadship. Ferretti Group presented today in Milan at Garage Italia, in the superb setting of Riva Privée, inaugurated today on this occasion, the financial results of 2017, the outlook and the investments plan for 2018. The Group 2017 financial cycle registered a consolidated production value equal to 623 million euros, demonstrating 10.8% growth compared to 562 million euros in 2016. EBITDA grows by 11,3% compared to 2016 reaching 59 million euros. If 2016 marked the first year of net profit since 2008, passing from -29 million euros to +14.1 million euros, 2017 reconfirms the solidity of the Group, with the PAT (Profit After Taxes) equal to 24 million euros euro and a growth of 71%. Moreover, the Group’s total assets reached 971 million euros, of which 46 million composed by liquidity assets. Alberto Galassi, CEO of Ferretti Group, commented: "The fantastic results of 2017 satisfy us but do not surprise us, because they are the mathematical and natural product of the extraordinary commitment that the whole Group has expressed over the last years. We know very well the formula for double-digit growth, in a single-digit growing market, and we have been testing it for a long time: making boats more and more beautiful, unique and inimitable, investing in Research and Development to combine the excellence of the Made in Italy style with technological avant-garde, that only a Group with our history can boast. The numbers prove it: thanks to the decisive support of the Weichai Group and Mr. Piero Ferrari, the company has achieved a record profit this year, rose to 24 million euros. By decision of the shareholders, the cycle profit will be entirely reinvested in Research and Development on new models, which will be added to the 30 developed in recent years. The production capacity of the Group's 6 shipyards and the workforce also grew, demonstrating that yachting, if managed at best, creates important job opportunities in Italy as well. The brilliant results we have presented today are largely generated by the success of the new serial models, presented in the four-year period 2015-2018, products of great success on the international markets which accounted for about 68% of the total sales value last year. 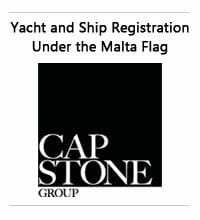 Thanks to the investments allocated, to those planned for the year and an ever-expanding and varied fleet, we are aiming to grow even more, with increasingly surprising percentages, thus creating a solid basis for the development of the next industrial plan, which will be presented at the Cannes Yachting Festival, next September." After completing the three-year plan with optimal performance and having fully regained the leadership of the sector, Ferretti Group confirms the strategic direction already outlined and successfully pursued during the last four years: from 2015 to the end of 2018, 90.8 million euros have been invested and allocated to new investments in R&D and in new products development, for a total of 30 new models, of which 8 only in 2018. The outlook for 2018 foresees a production value of 704 million euros. The 2018 project also includes a recruitment plan of eighty people in all the shipyards, located in Lombardy, Liguria, Emilia Romagna and Marche. The recruitment will focus in particular on the Ancona shipyard, dedicated to the construction of the large steel and aluminum boats CRN, Riva, Pershing, and the Custom Line fibreglass boats. Grand Banks’ manufacturing facility is nothing like your typical factory. For one, they directly own the facility, which means continual investment in its development to ensure it meets our extremely high standards. Part of this investment has led to a brand-new, state-of-the-art test pool. This controlled environment, which accommodates yachts up to 80 feet, tests all systems during the rigid quality control process. While in the test pool, every yacht is treated like a new part of the Grand Banks family. A red carpet leads to a no-shoe zone where our specialists treat the yacht with the affection and care its new owners will soon lavish upon it. After undergoing two extensive tests in the pool, the yacht undergoes an on-water sea trial before leaving the factory for its new home. After the 147.6-foot M/Y Dorothea III, owned by a former U.S. ambassador, spent two years towing its “fishing tender”, the Hatteras GT45X Post One, more than 30,000 nautical miles from Florida to New Caledonia in the South Pacific and back, he decided to upgrade to a new GT63. Also named Post One, his big, beautiful new Hatteras launched from our factory in New Bern, N.C., on January 12th. Today, she is in the fertile fishing grounds off Costa Rica. 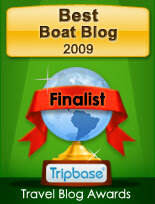 But transiting the Panama Canal to get there was only the start of the GT63 Post One’s adventures. In July, her owner plans to send her on a voyage that very few sportfishing yachts of her size have ever attempted. Accompanied by Dorothea III, she will cruise across the Atlantic Ocean nonstop from Bermuda to the Azores on her own bottom. 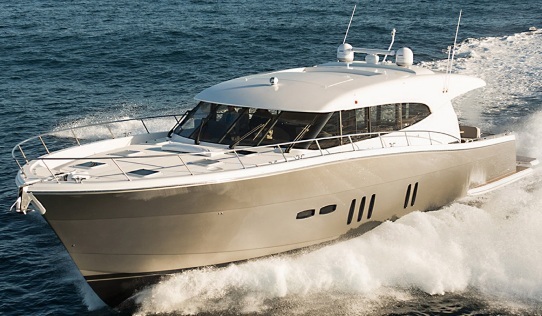 Gold Coast based luxury cruiser manufacturer Maritimo has commenced operations in the adjoining commercial property it purchased at the Coomera Marine precinct last year and is on track to increase its workforce and production as the global leisure cruiser market rebounds. Maritimo purchased the commercial property adjoining its current head quarters on the Gold Coast to enable future expansion and after undertaking works within the new building it moved part of its manufacturing process in at the start of February. The homegrown company has expanded from its Coomera Marine Precinct across the globe in its 15-year history with a network of 44 dealer partners in 16 countries. CEO Garth Corbitt said that global expansion was ongoing and the company would continue to market approximately half of the vessels it produced internationally. He said workforce numbers and production would increase in line with demand and it was planned to lift manufacturing by approximately 10 percent on the 2017 calendar year. "We will increase gradually and in a controlled manner with a watchful eye on demand and the style of vessels that are in most demand," he said. "The main thing is we now have capacity to strike quickly and effectively when we deem it is the right time to do so." Maritimo purchased the 3.09 hectare site at 9 McPhail Road which borders the existing factory and the two properties have been joined via two access ways. The combined total site area now including 15 Waterways Drive and the new McPhail Road site is 4.664 hectares. The actual factory floor footprint of the new property is still to be determined depending on building specifications and new building plans. Plans for additional structures are set to be announced soon. "The expansion of the factory floor provides opportunities for us to rearrange the manufacturing process, increase production when appropriate and improve turnaround times to manufacture each vessel," said Maritimo's General Manager Operations manager Phil Candler. He said adding McPhail Rd to the existing Maritimo headquarters also enabled it to bring some of the building process back to the company's primary headquarters from its satellite, waterfront Hope Island facility called Boatmasters. "Stainless steel, varnishing, small parts and glass along with research and development will all be housed in the new expanded facility," said Candler. "This will all occur over the next eight weeks or so." As part of the physical reshuffle within Maritimo there has also been a number of management changes. Chris Spriggens has been appointed Service and Maritimo Warranty Manager, based at Boatmasters and is responsible for all service and warranty work. Kym Fleet has been appointed Production Manager and he is responsible for all manufacturing of Maritimo vessels. He will be based at Coomera. Former Boatmasters' manager, Gary Klien, has been appointed Building Projects Manager, and he is responsible for all new building works at the new property and is based at 9 McPhail Road. The Boatmasters facility at Hope Island will be ramped-up to provide a one stop shop for all boat owners be they Maritimo customers or not. The facility and the team of professionals which operates from there provide engine servicing and replacement , vessel restoration/ upgrades, upholstery, sand blasting, painting and anti fouling. The Boatmasters' travel lift is capable of lifting up to 75 tons and one of the yard's key points of difference over competitions is that the boat travel lift is not wind or tide impacted being located at the end of a Hope Island canal and protected by the Maritimo service centre marina. "With the new property purchase our total manufacturing plant under roof is now 9314 square metres excluding office space," said Corbitt. "Our growth plans are tied to both national and international markets and continually pushing the brand into new areas.” "We have come a long way in 15 years, but there is much more to do." Luxury cruiser manufacturer Maritimo's international race team, Maritimo Racing, was involved in a high speed collision in the season opening race of the 2018 Union International Motonautique X-Cat world championships at Fujairah in the UAE yesterday (Thursday). Maritimo's Ross Willaton and Tom Barry-Cotter escaped serious injury in the collision, both were knocked unconscious. Willaton had to be taken to hospital as a precaution. Team Australia collided with Maritimo on the first turn of the event and both boats were extensively damaged. Team Australia is undertaking repairs to enable it to race in the next series event, but the Maritimo vessel will be forced out of the next race while repairs are undertaken. Maritimo CEO Garth Corbitt said it was extremely fortunate that both Willaton and Barry-Cotter did not sustain more serious injuries. "Competing at this level on the international stage is not for the faint hearted and we are just very grateful that Tom and Rossco are both OK," he said. The polls of the International Yacht and Aviation Awards (IYAA) are open and Nordhavn wants Your vote! The gorgeous Nordhavn 96 VivieRae II is up for Best Yacht Design 25-40 meter category as well as Best Interior Yacht design. Winners are determined by combining a panel of judges scores of various technical and design criteria as well as a popular component based on vote. Nordhavn Rendezvous is literally just around the corner and we are feverishly tying up the last of the loose ends and that includes ensuring our guests are prepared and well-informed so that all can enjoy the big event to its fullest! Winners won’t be announced for four weeks, but the talented team who led this project, Naval Architect Jeff Leishman, Project Manager Trever Smith and Interior Designer Destry Darr of Destry Darr Designs, are certainly deserving of accolades. Princess Yachts Ltd has delivered a record-breaking year in 2017, with its highest ever sales in its 53-year history, a robust return to profitability, and advance orders totalling more than US$1billion (£¾ billion). Financial results for the 12 months to 31 December 2017 show record turnover of £274.4 million (+26.6% on 2016) and an Operating Profit before Exceptionals of £7.9m (2.9% of sales), representing a turnaround of £15 million (6.1% points) on its 2016 results and continuing the trend of strong year-on-year growth for the L Catterton-owned UK luxury yacht builder. Princess recent performance at the industry's three biggest global sales events the Cannes, Fort Lauderdale and Düsseldorf boat shows, saw the company power ahead across its entire fleet. Princess' advance order book currently totals in excess of $1 billion (£¾ billion), 20% higher than the previous year. Princess is poised for an even more successful year in 2018. The year began with the launch of the V50, V65 and S78 models and will see an additional 6 launches by year-end, including the revolutionary carbon fibre R35 sports boat which will feature the innovative Active Foil System for world class performance, efficiency and stability. This unprecedented launch program is underpinned by a stronger-than-ever presence at the world's leading boat shows, intensified marketing, and a significant investment in production and quality at its Plymouth headquarters. To support this growth, Princess has increased its workforce by over 500 team members in the last year. 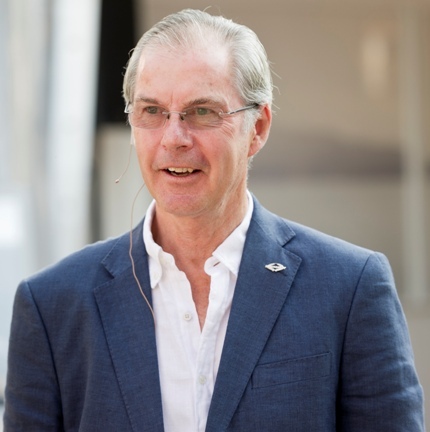 Antony Sheriff, Executive Chairman of Princess Yachts, said: "This has been a landmark year in the history of Princess. We have a clear vision to be the highest quality, most innovative and best luxury yacht producer in the world and it is gratifying to our highly skilled and dedicated 2,700-strong team that the market has responded in tune with our efforts. With our exciting launch plan this year of unique and exceptional yachts, coupled with our unprecedented $1 billion order book which stretches well into 2019, 2018 is set to be another record year in sales and profits for Princess Yachts." At the start of January, Princess transferred its banking relationship to a multi-year facility with HSBC. Graham Maxa, Chief Financial Officer of Princess Yachts, said: "The decision to move to HSBC complements the company's existing business partners and provides strong support to the growth of Princess' aggressive development plans. This strength, together with HSBC's global reach, will support growth internationally and keep the company on a solid positive financial trajectory for the rest of 2018 and beyond." During the Land Rover event in the exceptional frame of Milan Design Week, took place the exclusive award ceremony of the Land Rover Born Awards 2018 edition, which rewards young creative talents and international excellences who have distinguished themselves in the field of "peerless" design. Riva Yachts won a special prize as international excellence in the "yachting" category for craftsmanship, unmatchable quality, innovative but always functional design. Giordano Pellacani, Riva Sales Director, and Mauro Micheli, Designer of Officina Italiana Design, received the award from the hands of Jean Christophe Chopin, founder and CEO of BORN. After the awards ceremony, Pellacani and Micheli were accompanied by Gerry McGovern, Land Rover Chief Design Officer, to discover the exhibition that celebrates the Land Rover's bespoke soul: a metaphorical representation of the pioneering spirit of the brand that sees in the new Range Rover SV Coupé maximum expression of “peerless” design, in a game of suggestive projections, scents and sounds inside a virtual forest. Australia's renowned luxury motor yacht builder, Riviera, has launched an inspiring new coffee table book to celebrate the motor yachting lifestyle. Published to mark Riviera's 37th year, "Celebrating the Riviera Family" is 188 pages of richly photographed and superbly told stories of Riviera and Belize owners exploring and cruising across the globe. Riviera owner Rodney Longhurst said: “When I came to Riviera in 2012, my primary vision was to work with our team to refine and create a line of motor yachts that would deliver the ultimate boating experience. Reading through the pages of this magnificent book, I am humbled to realise that we are on our way to achieving that goal.” With more than 5,300 motor yachts launched over 37 years, there are now Riviera and Belize owners living their dream life, cruising some of the most iconic and secluded waterways of the world, from Australia's Great Barrier Reef and the north-west United States to the Caribbean, the Amalfi and Riviera coasts of the Mediterranean and beyond. "Celebrating the Riviera Family" captures this perfect life, from a stunningly photographed voyage around Australia's island State of Tasmania to cruising in company in Chesapeake Bay on the US east coast and weekend cruises and adventures. Chapters describe voyages to Lord Howe Island, 350 miles off the eastern Australian coast, through the islands and waterways of the north-west United States and British Columbia, Australia's Whitsunday Islands and many more delightful destinations. The book also features the bright and colourful special owners' events hosted at the Riviera and Belize Festival of Boating, the Sydney International Boat Show and the Fort Lauderdale International Boat Show in Florida, USA. As well, there is an historical showcase of every one of the 91 Riviera and Belize models launched over the past 37 years. "Celebrating the Riviera Family" is a book to treasure on board or at home or would be a wonderful gift for the Riviera enthusiast in your life. The limited edition coffee table book is beautifully bound and silver embossed in a thick navy linen cover with a full-color dust jacket. Sabre, and sister-company Back Cove, were once again honored to have models named among Maine Boats, Homes & Harbors "Boats of the Year"
An actual boating atelier, throughout the years Sanlorenzo has introduced a new way of conceiving boating design, developing a groundbreaking model over the years, acclaimed by people worldwide, which has allowed it to earn many important achievements. As a result, 52 Steel M/Y Seven Sins, the first 52-meter metal super yacht, was honored at the 14th edition of Asia Boating Awards, set up every year by such renowned Asian magazines as China Boating and Asia-Pacific Boating, which honor the best brands in the field of international boating. The ceremony took place on 11 April at the stylish ONE 15° Marina in Singapore. Selected by a panel of expert judges, 52 steel received the award for “Best Yacht Design Innovation”, thanks to the revolutionary design of its stern: with a totally innovative solution, a swimming pool with a transparent bottom placed on the main deck lets light through to the underlying area, an exclusive beach area resulting from the doors opening on three sides, which become sea-level platforms. The same area quickly turns into a floodable garage that contains the shipowner’s tender: the beach floor lifts up so that tenders up to 8 metres can be accommodated. Sanlorenzo once again confirms its research and innovation-oriented design approach which, apart from winning the award for Best Explorer Model with 460Exp at the 2017 edition, has allowed it to receive such an important acknowledgement for the second consecutive year, which goes to show the company’s ability to adapt its elegant style to different proportions successfully and with a unique approach. Sanlorenzo Superyacht, which creates metal yachts from 40 to 80 metres, has increased its production volumes significantly: 21 superyachts have in fact been built so far and 15 are currently being built at the imposing, over 50.000 sq.m. production site that was recently acquired in La Spezia and which focuses entirely on developing superyachts. Topping the international chart of yacht and superyacht producers, Sanlorenzo completed its 2017 with a sales volume amounting to over 300 million euros, as well as with a constant growth and an average rate corresponding to 18,2% over the last few years. Sunseeker International has today launched a new ‘Priority Service’ in collaboration with Volvo Penta. The free aftercare service underlines Sunseeker’s ongoing commitment to its customers by offering exceptional customer service and aftersales support and covers all Volvo Penta engines and accessories, whatever their age. The new service will offer advanced diagnostics and troubleshooting expertise, rapid response and field service care. Customers and captains will be provided with a telephone number for a dedicated 24/7 assistance hotline, available in 4 languages. The operator will provide support throughout and keep the customer fully updated on the progress. The case is recorded in the Volvo Action Service (VAS) system and a preliminary analysis of the issue is completed which immediately triggers the suitable corrective measure required. Customers may then be directed to the nearest Volvo dealer with the relevant expertise to help rectify the issue. The Volva Penta dealer network is made up of approximately 4,000 authorised marine leisure dealers, offering assistance to customers worldwide. Jason Stewart, Customer Service Director, commented “As well as providing world-class design and engineering within our award-winning product range, it is critical that we have the best support on hand wherever our customers are in the world. Our new Priority Service provided by Volvo Penta provides additional peace of mind for those customers. The lineup for Leg Two of the Abaco Diamond Series reads like a regular Who's Who of today's billfish tournament circuit battle-wagons. The Shootout sets up production boats to go head-to-head with custom boats in this all-release format to settle the age-old debate. Think you've got what it takes? Register today for The Shootout at the Abaco Beach Resort & Boat Harbour Marina. The event kicks off on Wednesday, May 16, and runs through Saturday, May 19. Last year the Viking Miss Victoria won the event. Let's see if a Viking can do it again! Friends and family of Matt Uhl, the son of Viking's Al Uhl, held a special pasta dinner fundraiser in Little Egg Harbor, New Jersey, recently to support the Memory Team for Matt Uhl in the 8th Annual John R. Elliot HERO Campaign Walk/Run on October 21, 2018 in Ocean City, New Jersey. The HERO Campaign for Designated Drivers seeks to end drunk driving tragedies nationwide by promoting the use of safe and sober designated drivers. At Zeelander they believe that being a yacht owner should be more than merely owning a yacht. Yachting is about spending quality time with loved ones, meeting new people and new experiences. With thirty guests and five Zeelander Z44’s, they cruised up the German River Rhine and Mosel, covering a combined distance of over 4000KM (2500 miles) at an average speed of 30 knots. Zeelander visited a German winery, enjoyed fabulous meals (often local dishes) and drank amazing Riesling, Spätburgunder and other sorts of wines. The Zeelanders cruised comfortably, and of course, problem free. Many of us tend to take wealth and good health for granted. If we take a moment to realize the randomness of life it can be a shock. ‘Spieren voor Spieren’ is a fundraiser to finance research to overcome neuromuscular disease. Zeelander was proud to sponsor this noble cause. Spieren voor Spieren hosted an auction during a gala dinner at the ‘Hotels van Oranje’ in ‘Noordwijk aan Zee’ earlier this month. Zeelander Yachts partnered with Gassan Diamonds (leading jeweller and gem stone specialist) to offer a sailing master class with Olympic Gold medallist – Marit Bouwmeester – to the highest bidder. We are proud that our auction item sold for a handsome figure and that Zeelander is able to contribute to a better life for those in need. During the Milan design week 2018 Azimut has presented the project for a new S10 model. Not much details have been advised for this new project albeit an important one that design duties for the exterior are to be trusted to Alberto Mancini, who takes over from long standing and designer of all S models Stefano Righini. The Azimut S10 will represent a new flagship for the S series, with the current range biggest offer being the 77 S. If the current designation holds true the S10 should be a super sport yacht at around one hundred feet in length. The Azimut S range series have been a huge success since its introduction in 2003 with the 68 S, this first model receiving orders of forty units in the first year of production, and a total sales of over one hundred units delivered in seven years production . The largest Azimut S ever made have been the 120 SL and the 103 S respectively, both stopped in production some years ago. The newly unveiled Majesty 140 is an elegant superyacht that offers unrivaled luxury. It's extensive glass side windows allow plenty of sunlight inside and give the guests stunning panoramic views of the seascape around. The new superyacht features a spacious beachfront deck with balconies on both sides and a main living room finished with the finest Italian wood and leather. The 55 sqm saloon section on the middle of the superyacht’s upper deck is designed as a private lounge area with a large TV screen for a complete entertainment experience. The tri-deck superyacht features a richly finished owner’s stateroom offering charming views of the outside through its glass facades and an elegant terrace, and comes with an en suite featuring a jacuzzi bathtub. The Majesty 140 additionally has 4 guest staterooms that can accommodate up to 10 people. The rooms are finished in premium wood and has the finest Onyx Costa Blanca marble with crystal door handles. Special care has been taken to ensure the comfort of the crew with nine crew berths sleeping in three rooms located in the bow area and another two crew cabins aft. The Majesty 140’s main helm station is fitted with the latest in navigation and communications technology. It features a unique window design that is a premiere for Gulf Craft with a distinctive negative inclined front glass. Furthermore, two side docking platforms on either side of the yacht assist the captain during docking. Powered by two MTU engines of 2,600 hp each, the yacht can reach a top speed of 20 knots. Bering present the project for a custom 92 footer 28 meters, a new flagship of its made to order Custom line and embodies the result of the creative process between the client and the shipyard. Bering 92 re-imagines and combines many stylistic elements already known to the brand solid steel/aluminum construction, long-range capabilities, full displacement hull and high interior volumes, adding an elegant and timeless exterior matched with an equally elegant interior design. As with all the other vessels in the Bering fleet, everything is personalized to the smallest details according to the owner’s wishes, offering the opportunity to implement all the needs and desires. The 92 Custom is designed with a displacement of 125 tons, will carry 15000 liters and will be able to cruise for more than 3,500 miles using a pair of Cummins 410hp engines. Despite high performance looks the Bering 92 Custom will reach a top speed of 13 knots and a comfortable cruising speed of 11 knots. The Kadey-Krogen 50 Open is the newest addition to their luxury line of ocean-going explorer yachts, and is a model all her own. Light-filled and open, the 50 Open’s continuous salon/galley/pilothouse main deck arrangement puts entertaining and ease at the center of long-range cruising. For increased privacy or traditional pilothouse passage-making, the Kadey-Krogen 50 Open is optimized with a remote-controlled, retractable bulkhead to separate the helm area from the salon and galley. Access to both the flybridge and the lower accommodations deck are from the pilothouse, via household-style steps. From top-to-bottom, and inside-out, the design of the 50 Open flows gracefully, with sunshine able to flood the large salon windows and aft sliding glass door, it’s always bright on the main deck. The salon is designed with beautiful and comfortable settee seating, a handcrafted cherry table with fold-out top and stainless-steel high/low pedestal base, and a TV that raises and lowers in front of the port side windows. Plus, there’s room for two additional, owner-supplied chairs. The galley is happily situated between the salon and the pilothouse. A Subzero refrigerator/freezer conveniently located adjacent to the galley counters are among the model’s many standard upgraded features. Storage, including a motorized, pop-up appliance garage, and 16-linear feet of counter surface make smart use of the galley space. The pilothouse on the 50 Open, like every Kadey-Krogen yacht, was designed with long-range cruising and control in mind. When the retractable panel that separates the pilothouse from the salon and galley is down, there is 360-degree visibility, which is unique for a yacht of this size. Front and center of the helm station, is a custom helm panel with room for large monitors and dedicated displays. Additionally, for easy docking, there are port and starboard wing stations located just outside the pilothouse doors. With two lower accommodation layouts to choose from, the Kadey-Krogen 50 Open is available in either the standard midships master floor plan or an optional master-forward design. The midship master arrangement features a walk-around island queen berth with handcrafted, built-in nightstand cabinetry. Proper storage for clothing and personal items lines the perimeter of the room, and the private ensuite head, with its standard his-and-her sinks, expansive, deep counters, smart drawer storage, and large shower, defines this master retreat. The standard, VIP-forward stateroom is bright and welcoming as well, with an island queen berth and a private head and shower. Deep drawer storage is complimented by a hanging locker to port. Many engine rooms make the claim, but the Kadey-Krogen 50 Open truly has a stand-up engine room front to back; seven feet at the front, and six-and-a-half feet of vertical clearance at the back of the engines. This well-lit, well-ventilated, and well-labeled space houses a John Deere 230hp, as the standard power or twin 125hp as an option, as well as the industry’s finest systems and equipment. 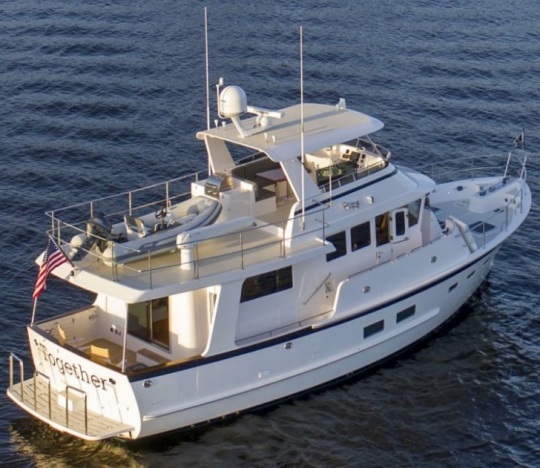 Lastly, conveniently accessed from the pilothouse, the flybridge opens to an airy, oversize seating and dining area with an outdoor kitchen and wet bar. Sleek lighting provides just the right amount of ambiance. The forward storage area accommodates supplies, fenders, and cushions, and there’s more storage below the settee seating. Not to be missed on the Open, the flybridge helm station sits directly above the pilothouse, offering excellent sight lines of the fore-deck, bow, and beyond. In a very different stage Princess are showing glimpses of the new R35 model project while doing its test off Plymouth. 35ft in length, fully carbon fiber, powered with V8 petrol gas engines and with an impressive top speed of fifty knots this is the anticipated, all-new R Class. Princess Yachts are proud to have partnered with BAR Technologies and Pininfarina to bring a whole new breed of sport cruiser runabout boat to the market with the very latest in advanced technology and naval architecture. The all-new R Class will feature the unique Princess AFS Active Foil System and deliver the fastest and most efficient Princess boating experience to date. The striking exterior reflects one of the most compelling and innovative designs we have ever created and conceals a spacious cabin within. Featuring a well equipped galley and seating area, with the added flexibility to convert to a generous double berth, further complemented by an ensuite. This ground breaking sport cruiser remains a true Princess at heart with the same level of comfort, practicality and seakeeping found on any other larger sisters, combined with the very latest design thinking from the Princess Design Studio and progressive performance technology. World presentation is the fall of 2018. The largest and most luxurious Sabre motor yacht to date the 66 Dirigo get a bit larger adding another entertainment deck thanks to the Fly Bridge version finally being launched. The Sabre 66 Dirigo Fly Bridge is a design of Kevin Burns. In the 66 Dirigo Fly Bridge the difference is the flybridge deck covered by a hard top and a second helm station. The first 66 Dirigo Fly Bridge was delivered in mid Spring 2017 with Sabre so far selling four hulls of its new flagship model since launching hull one in 2016. 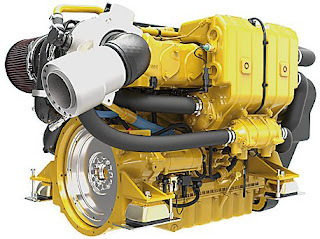 Caterpillar Marine is delighted to announce they new Cat C7.1 425hp engine with emissions certifications for IMO II, 97/68/EC Stage IIIA, RCD 2 and Marine EPA Tier 3, plus the new commercial ratings meet EPA Tier 3 Commercial. The engine provides superior response and strong acceleration from idle to full load while maintaining fuel efficiency at high speeds, as well as reduced combustion noise through advanced electronic control. The engine is available with a 12V or 24V electrical system, and it is compatible with Cat displays and electronics. For cleanliness in the engine room, Caterpillar has incorporated a closed crankcase ventilation system. There is also a gear driven jacket water pump and seawater pump for superior reliability and the self-priming fuel system ensures a smooth start every time with no visible smoke during the start-up or whilst underway. The engine comes complete with a maintenance free valve train with hydraulic valve adjusters. The Cat 7.1 High Performance and Commercial rated engines are manufactured in the Caterpillar Marine Power UK Ltd facility in Wimborne, UK. In April 2017, the Wimborne officially opened their upgraded facilities, with a £5 million investment in a new administration building, engine production hall and warehouse, including the first new production test cells, with best-in-class data capture standards and a new world-class paint facility. The new D, C, and B ratings will be on display at several key global marine events throughout 2018. If you would like to see the engine sooner, please contact Caterpillar Marine to arrange a personal viewing. Chinese yard Heysea Yachts has confirmed that it has taken an order for a new 126 Asteria super yacht. Due to launch in January 2019 with delivery later that year, this in-house design will be built from a fiberglass hull and superstructure with a beam of over seven meters, which will give a total interior volume of 270 GT. Accommodation is for up to eight guests split between four cabins, including a main deck owner’s suite. On the lower deck, a full-beam VIP sits just aft of the port-side twin and starboard double cabin. The crew quarters are situated in the bow and allow for a staff of up to five people, with a crew mess and double cabin for the captain. Key features include a Cabana-style beach club complete with day-head, and a large aft deck, which is split between sunbathing space aft and sheltered dining space further forward. Moving inside and the open-plan saloon comprises an eight-person dining table, L-shaped settee and a bar area with three stools. However, the star of the show is the spacious super yacht sundeck this area will be fitted with a tender davit, spa pool, dining table, barbecue, bar area and a C-shaped settee, with enough room leftover for three sun-loungers to be placed back aft. The Heysea 126 Asteria will be powered by a pair of 1925hp Caterpillar engines for a top speed of 22 knots and comfortable cruising at 19 knots. When trimmed back to an economic speed of ten knots, the Heysea 126 Asteria will have a cruising range of 1,200 nautical miles, drawing on a total fuel capacity of 13500 liters. The first unit of the new Riva 110 Dolcevita was launched on Thursday 22 March in La Spezia, at the shipyard that manufactures the 76 and 110 foot models. Riva 110 Dolcevita is huge from every point of view, its visual impact taking the breath away as does the incomparable combination of aesthetics and function, state-of-the-art technology and sea-faring experience. Marked by an ultra-sporting profile and a design embellished by shaped glass windows and chrome inserts, it's the flagship of the fiberglass fleet. Among the most striking features, there's the large glass windows on the trim line with integrated portholes and, on deck, the single height glass window that runs the entire length of the living room with the glass framed by a stainless steel structure. This new Riva 110 Dolcevita is once again the result of a collaboration between Officina Italiana Design, the design studio founded by Mauro Micheli with Sergio Beretta, the Strategic Product Committee chaired by engineer Piero Ferrari and the Engineering Department of the Ferretti Group. This Riva is a continuation of the 70 Dolcevita which was a popular model in the line of the status symbol boat builder in around the start end of the nineties and the start of the new millennium years. Riva 110 Dolcevita will make its official début during an exclusive event to take place in Monte Carlo in May, the ideal place for the presentation of a yacht that is already legendary. Uniesse continues to show its resolute on the project front, having in recent weeks presented another model for its SY super yacht range with the 105 RPH. The Uniesse 105 SY RPH project is inline with recent trends in its 31 meter size and offers a semi wide body main deck and an integrated raised pilot house design. Accommodation will offer a five cabin interior including an owners stateroom on the main deck with a lot of space thanks to the semi wide body, and four spacious suites on the lower deck. Crew accommodation is for five persons including a captains cabin with en-suite shower head, and a lobby. The stern layout offers also a beach club with a tender garage in between this area and the engine room. With classic retro styling and the unbeatable performance and handling for which Windy is renowned, the new 27 Solano sports boat is set to emulate the success of the legendary Zonda. Steeped in Windy’s core DNA, the Solano celebrates ‘back to basics’ boating, in 21st century style and comfort, with its focus on a big cockpit, great hull and excellent handling. Here is the pure, no frills sportboat of the type Windy built in the Sixties and Seventies, but with comfort, design and technology brought right up to date. Conceived primarily as a dayboat, she has a practical two-birth cabin and head compartment tucked under the fore-deck. Her deep, safe cockpit is both social and versatile, with a move-able aft sun-pad that can be easily protected with her new generation canopy system or bimini sun-shade. Designed around a single engine installation, with a choice of Volvo 300hp diesel or 350hp petrol gas engines with a sterndrive propulsions, the Windy 27 Solano has an advanced deep-V hull designed by Hans Jørgen Johnsen which delivers superlative performance, matchless seakeeping, and a top speed of forty knots. 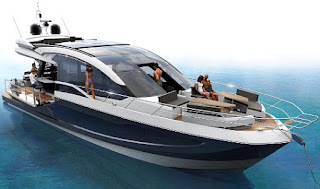 Announced in September 2017 this is the first rendering of the Azimut S6 project. To be presented in Cannes 2018 the first taste appeared on the Facebook page of the famous Italian boat builder. A third new model for Azimut in 2018 after launching two novelties in January, the S6 follows the lineage as introduced with the 55S in 2012, and then expanded with the 77S, and S7 in 2017. Just as the other bigger and smaller S models the Azimut S6 will have a lot of carbon elements in its construction and will use the same three engines Volvo IPS pod propulsion set up. The S6 as the rendering above shows will also have a sport bridge option. The Azimut S6 completes the range S sport yacht Azimut range from 55 up to 77 feet and everything in between the sixteen to 23 meters in size, with a model for every two meters of size. For 2018 Haines has decided to improve its 32 Offshore sedan model. The revamped 32 Offshore cruiser featured significant changes to its original layout, now providing an impressive spacious owners cabin with separate toilet and shower compartments. However the key feature of this new design is the open plan saloon and galley area with its multi-configuration seating arrangement. This layout allows owners and guests to comfortably dine either in the saloon or in the aft cockpit area, through the simplicity of rotating the saloon settee from its standard L-shaped arrangement. It also provides the much appreciated flip-up double navigation seat to starboard, while the helm position also benefits by the location of the new side door feature. With elegantly understated exterior styling and signature strip windows by the renowned Italian designer Tommaso Spadolini the Rosetti 48m Supply Vessel is a sub 500 GT pocket-sized project of the larger 85m presented earlier in 2018. The open aft deck of almost eighteen meters in length, for example, provides adventurous owners with the required space for carrying large tenders or for touch-and-go helicopter operations. The 48m Supply Vessel can also be built to Ice Class criteria. Alternatively, it can be used as an open-air beach club with infinity pool and a second spa pool on the sundeck, along with socializing spaces and entertainment features. In terms of interior layout, owners can choose to have the master stateroom on the upper deck overlooking a private aft deck, or a full-beam suite on the main deck forward with study, separate walk-in wardrobes and His and Hers bathrooms. In this version, the upper deck serves as a sky lounge with al fresco dining facilities. The accommodation for eight guests on the lower deck comprises four generous cabins with en suite bathrooms. Smooth service is ensured with independent crew access to guest areas and spacious pantries on the main and upper decks, both served by a dumb waiter from the large galley. For operational efficiency, the chef engineer’s cabin is next to the engine room and the captain’s cabin behind the bridge. There is also a dedicated laundry room on the lower deck. The Rosetti 48m Supply Vessel is to be powered by twin MTU 1448hp engines or Cats 1300hp reaching a predicted top speed of 16 knots and cruise at 14 knots. Maritimo's sleek new S70 sedan cruiser is the largest single level sport yacht that Maritimo has created. Boasting a top speed of almost 30 knots and offering exceptional handling, it is a superb fusion of style and performance in one generously proportioned sport yacht. In every detail, this is a sport yacht designed for extended trips in luxury and comfort, with a range of 520 nautical miles at 21 knots and a staggering 1600 nautical miles at nine knots. With a height of just over five meters, the S70 has also been crafted to pass under low clearances such as fixed bridges. The S70 also features the possibility to add fuel tanks ensuring that further adventure possibilities. This S70 is a sport yacht with a strong focus on mobility, from the wide, walk-around deck to the bi-fold doors and spacious cockpit. From the helm, the S70 offers all around sight-lines, a two-meter wide sunroof, and captain’s door access to the fore-deck, creating a sense of openness when out on the water and docking. The S70 is also an extremely nimble boat for its size with the two-and-a-half turn, lock-to-lock steering system. This combination of single deck design and extreme maneuverability means that steering is a delight, allowing you to take in stunning views during your adventures around the world. The sedan configuration of this sport yacht keeps everyone on one level, with multiple entertaining and living spaces and additional height on the main deck. This expansive design and single level living sits seamlessly with the flat running angle of the S70. Down below the big Maritimo sport yacht offers four cabins including the a full beam, apartment-sized master cabin. Three additional bedrooms and three bathrooms, ensures there is room for everyone to unwind in peace. Ergonomics and thoughtful design have been incorporated to create a saloon area that is expansive and flexible. Configuration options include tub chairs, lounge or bar stools, providing a leisure area that is beautiful in both style and function. The wide galley has enough storage to incorporate a coffee machine, ice maker or wine cooler, ensuring easy entertaining options. While Miele appliances are standard, there is also the option to customize appliances, sound systems and a range of other features to create the ultimate home on the water. Mag Bay is a fairly new sportfish brand founded in 2016 from Adelanto California, and as the address says to the fanatic sportfisherman it is indeed created by the people who founded Cabo, which was one of the most popular sportfishing machines under the fifteen meter size up until the first decade of the new millennium. The company started with the Mag Bay 33CC center console outboard model in 2016, and now in 2018 presents the project for a new 42 model. It is interesting that after all these years the Mag Bay 42 will mirror some of the second generation Cabo models, with design for example being trusted to Micheal Peters. 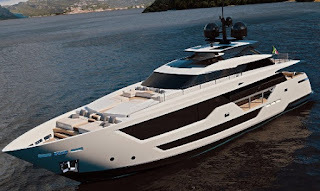 There is no interior layout plans out yet but Mag Bay has already said that the 42 will feature a one cabin plus saloon, galley and shower head cabin layout. Performance is estimated for a forty knots plus speed at wide open throttle with twin Cats 715hp engines running on line shaft propulsion. Independence Cruiser is a new German company who present its first model the IC39 launched in December 2017. The Independence Cruiser IC39 is build in Turkey and features a displacement hull design, matched to a single economic diesel engine propulsion type. The Independence Cruiser promises to be a hybrid use type explorer cruiser with inland and offshore use being both possible. 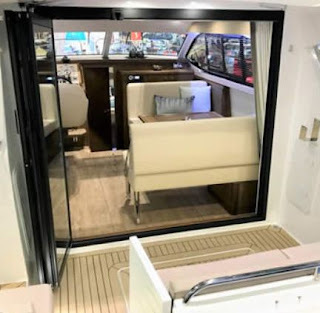 The inside layout of the Independence Cruiser IC 39 will offer nearly full use of the lower deck, with two spacious cabin at both ends, fore and aft of the hull. In between the cabins will be a saloon and galley, and spacious shower head. The owners cabin is located to aft and makes use of the maximum beam of the IC39. Power will come from a single Nanni 115hp engine with line shaft propulsion and top speed of eleven knots with a cruise of eight knots. Galeon 650 Skydeck project impresses with its incredible features and innovations when it comes to space distribution, volume and functionality. A twin model of the January 2018 presented 640 Fly, in a more sporty no hard top sport bridge version with the addition of the glass sunroof and a top deck that can be closed off completely. Outside, the aft cockpit dining area holds eight people who can enjoy an entertainment system with a flat screen TV sliding up from the kitchen top, all while protected from the elements by the electric aft sunshade. Further back, find the hydraulic bath platform capable of handling all water paraphernalia and a convenient access to a large skipper cabin. The top deck offers three sport seats and a sun pad for leisure while the bow deck area can be approached by the revolutionary, electric front window entrance revealing two separate movable sofas with integrated fold-able tables for sundeck purpose. The Galeon 650 Skydeck is powered by standard twin Volvo 900hp and can be optioned with engines up to 1200hp. The new Palm Beach PB42 offers all the uncompromising style, performance and amenities of larger cruiser in a compact, efficient package. A semi-displacement bottom and low vertical center of gravity make the PB42 an incredible seaworthy traditional looking cruiser and subject to engines able to speeds up to 36 knots. The PB42 immediately makes a statement with its spectacular, sweeping lines and rich, exotic teak. The light-filled interior welcomes guests in the climate-controlled salon delivering premium comfort, and power windows forward and aft. Below the PB42 is offered in two layout that for a standard twin cabin sleeping four with galley on the main deck, or a single master owners cabin forward sleeping two and the galley becoming larger and moving below. Benetti FB702 has been launched, a 49 meter displacement yacht part of the Custom product line with sophisticated, minimalist exterior lines designed by Horacio Bozzo and interiors by the Benetti Style Department. Named M.Y Elaldrea, FB702 is a sophisticated super yacht with a contemporary design, was launched with success in Viareggio. The displacement yacht, part of the Custom product line, is designed for an owner who has already chosen Benetti for his previous boats. The distinctive features of the yacht’s exterior lines include the spacious beach club with sauna, the 115-square-meter flybridge with a 4-meter swimming pool, and plenty of space for the dining and sunbathing areas. The outdoor furnishings are custom designed, working in collaboration with brands Link Outdoor, Sutherland and Vaar. The owner’s suite area, occupying sixty square meters, has a balcony with an automatic sliding door and huge glazed surfaces for natural lighting, both features that establish a special relationship with the outdoor spaces. The suite has two walk-in wardrobes, a double bathroom and an office study area. The guest accommodation consists of six cabins covering a surface area of ninety square meters, with the two spacious VIP cabins occupying 25 square meters each. The interior furnishings are from selected brands with a reputation for quality, including Poltrona Frau, Giorgetti, Softhouse and Arketipo, while the materials and colors juxtapose wood varieties like canaletto walnut and tanganyika, various types of marble including Travertino, Afyon Miele, Sahara Noir, Crema Luna and Port Laurent, fabrics such as silk and velvet and, finally, steel inserts and detailing. Benetti 49 meter Custom FB702 is certified in compliance with the LY3 Code and can therefore also be chartered out, while the crew quarters contain four cabins, sleeping a crew of eight or ten depending on how the boat is used, with an area set aside for the laundry and storeroom. The main garage houses a 6.3 meter tender and the forward sea water pool contains a second 3.4 meter tender for the crew. The engine room is equipped with a pair of 1448hp MTUs, driving the yacht to a top speed of 14.5 knots and a cruising speed of 13 knots. Ferretti Custom Line is broadening the horizons of yachting with a new project that got an enthusiastic response from the public and members of the trade at the recent US boat shows. The Custom Line 106 is a new addition to the planing range. The 106 is a product of the partnership between the Francesco Paszkowski Design studio, his second for Ferretti Custom Line and follows the 120 which was launched at the end of 2017, the Ferretti Group's Engineering Department and the Product Strategy Committee led by the engineer Piero Ferrari. The design of the lines on the bottom and the hull helps it to replicate and build on the outstanding hydrodynamic performance of the latest models in the brand’s planing range. The Ferretti Custom Line 106 has large floor surfaces totaling 220 square meters that are all interconnected. To the stern is a more advanced version of the patented Dual Mode Transom system. It features two hatches that cover the stairs when the vessel is in motion, thus giving the stern a clean-cut appearance. When the super yacht stops, they disappear into the central part of the door so that guests can climb up. From the garage, a tender of up to 5.45 meters and a three-person jet ski can be lowered into the water. The forward area is even bigger than on other recent models: on the raised central island there are sofas and upholstered seating with reclining backrests and on the bow area there is a large sun pad spanning a total of 36 squared meters. There is also an additional garage for a Williams 2.80 Jet or a three-person jet ski. The forward area is directly connected to the 53 squared meters flybridge by a walkway. Protected by two large windows on the sides, it has a standard hard top with two skylights. In addition, bimini tops or canopies can be fitted to provide shade in the external areas. The interiors are bathed in natural light thanks to the large, full-height windows. On request, the central window on the starboard side of the lounge can be fitted with an electric opening mechanism. The support columns used on the Custom Line 120 can also be found here, with lighting, audio and air conditioning systems on them. Further along the starboard side, there is a full-beam master cabin in the foredeck which contains plenty of storage space for the owner, as well as two dressing rooms and a large bathroom with dual facilities and a central shower. On request, a panoramic terrace can be added. The port-side bulwark of the main deck provides access to the galley, the crew quarters; consisting of a cabin for the captain with a bathroom and a separate shower, and two crew cabins with a separate bathroom, and the integrated raised bridge. The layout on the lower deck contains four standard cabins: two VIP cabins amidships and two twin ones forward, all with separate bathrooms. The beds in the VIP cabins face the bulwark to make the most of the view from the large hull windows, while an optional additional Pullman bed can be fitted in each of the two twin cabins. The style of the vessel continues in the same vein as the Ferretti Custom Line 120: it explores greater formal balance and there are distinctive, strong color contrasts in the furnishings and coverings. Like the other recent Custom Line models, the 106 comes with innovative software that allows an iPad to be used to operate the entertainment system installed in the lounge on the main deck, meaning that the various remote controls can be replaced by a single device. This technological solution can be extended to all of the different parts of the maxi yacht and it can also be used in conjunction with the owner’s personal devices. The Ferretti Custom Line 106 is to be powered by twin MTU 2217hp engines, which can take it to a maximum speed of 23 knots. Alternatively, it is possible to ask for twin MTU 2638hp engines and reach a maximum speed of 26 knots. The standard version is equipped with electro-hydraulic stabilizing fins, offering both underway and zero-speed modes. On request, gyroscopic stabilizers can also be fitted for maximum comfort at anchor. The Cruisers 42 Cantius has arrived. A replacement of the 41 model, the new 42 brings the sleekness which has characterized the second generation Cantius as introduced with the 60 in 2015. The Cruisers 42 Cantius offers much of the same in new generation boating with a fully enclosed hard top offering all the living on the main deck, and lower deck reserved for two well sized cabins and two shower heads. Power options for the Cruisers 42 Cantius are twin Volvo 370hp and optional 435hp units. Both these engines are offered with IPS pod propulsion though stern drive options should be available in a later stage.